If you are a white foreign woman like me, or otherwise different from the Chinese because of your appearance, be mentally ready to turn into a celebrity. Not that you would get movie roles as you get off the plane, but you might be much more noticed on the streets than you were back home. First you will hear those whispers (or more like shouts) around you: “看，是外国人！” “kàn, shì wàiguórén” “Look, it’s a foreigner!” Chinese people seem to make a hobby out of pointing out all the foreigners they see on the streets, restaurants and public transportation means. Two words for foreigner you hear the most are 外国人 wàiguórén and 老外 lǎowài. 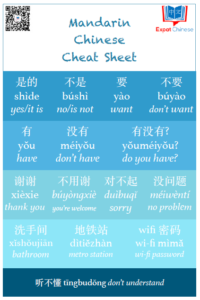 If you know Chinese you might hear full conversations about you being discussed around you. Just two days ago I was walking home from the bus stop and passed by a group of young men. There isn’t many foreigners living around here (perhaps just three on this island) so there is a chance that I was the first foreigner those guys saw around here. They started discussing about me in Cantonese, but unfortunately my Cantonese wasn’t good enough to understand that much. One step closer to stardom is having your pictures taken, with or without permission. Nowadays everyone has a camera on their phone and there are probably more photos of you out there than you even realize. I’ve had my photo taken in the Forbidden City, on a beach in Hainan island, in a metro with my boyfriend and tens of times more in other places. I rarely deny if someone asks to take a photo of me as they usually ask nicely, but I don’t like having me captured without permission. You might also notice that when you move to or travel in China, everyone wants to be your friend. I get asked of my mobile phone number, QQ number or WeChat account on almost on a monthly basis on metros, busses, at the gym etc. I never give my phone number to strangers, but sometimes I give my QQ or WeChat if I find the person interesting and would like to make friends with them. But very often it’s just an awkward “no” when I don’t want to see that person again and they insist on having my contact information. So moving to China will have a huge impact on your privacy and the way others react when seeing you. It can feel funny at first, but you might grow tired of it after a year, and a two, three, four… Just remember that the Chinese don’t do this to annoy you, it’s just a totally different culture down here. Have locals taken pictures of you too in China? Share your experiences in the comments! Yeah as a caucasian male I got a lot of attention. I even got free drinks and free entry at a number of clubs. The staring isn’t so bad though — people are more aggressive in India I’ve found. I have never been to India, so can’t really compare, but interesting to hear that there can be even more staring over there. Jim, do you ever have days when you wouldn’t want that much attention placed on you? Or could it be that guys don’t over think as much? I agree. India is much worse and as a woman, I felt very uncomfortable at times. Not just uncomfortable, but even unsafe–sometimes the staring was overtly sexual or sinister. I’ve never felt that way when being stared at (and a few times followed) in China. That sounds very uncomfortable. Would you recommend women only travel in a group in India? I have traveled as a solo female many places, but I don’t recommend it in India. I was there for a month, traveling most of it with a (female) friend. I was stared at, harassed, and even groped–twice. If you do go it alone, be sure to dress conservatively and travel second or first class on trains. If you hire a driver, be sure it’s one you can trust; for example, go with someone that works through or with your hotel/guesthouse. Your report is so accurate. For me, it is more frustrating than exciting. Didn’t want to be famous back home, don’t want to be here. It would be great if a huge increase of non-Asian looking folk moved here as it would take a massive change in the ratios for this trend to end. Yet if you crave attention from strangers and do not look Asian, China may be your cup of tea. Have you been in a situation where you being foreign has been an benefit of sorts? I mean sometimes we can get special treatment just because we look so laowai. What do you think of that? I’d be lying if that had never happened. However, I’d propose that such occurrences are far less in frequency than the daily curiosity assault and underlying bias. Note, I believe a substantial amount of the prejudice against foreigners goes unspoken, most especially to or in front of foreigners. Chinese are masters of saying one thing, even acting one way and yet thinking something totally opposite in their hearts. Recently I’ve noticed that people don’t bother me much on busses or metros when I’m listening to my podcasts looking very concentrated. I just need to buy better headphones as taking the public transportation in Guangzhou is very loud! Thank you for sharing the Asian point of view to the discussion. I’ve been wondering how it’s like for foreigners from other countries in Asia. That is a really good thing, Eileen! :) I’m so looking forward my trip back home where I can go back to being nobody for a while. Yes, Sara. Everyday in China, I receive multiple requests for pictures. The requests are always polite and sincere. So, I never turn down a request for a picture. Stephen, I have the same experience that those who ask a permission are usually very polite about it. Sara. When I visited Hong Kong, China about 2 years ago, I did not see the local Chinese stare at me nor did anyone ask me or any of my family members for photos. Perhaps you were seeking attention and thus you got a lot. I did not visit Guangzhou though. Manny, if you only visited Hong Kong than I totally understand. Hong Kong is Hong Kong, totally different than mainland China. Trust me, it’s not attention seeking. After living in China, most expats would rather avoid this attention. For me, it is often frustrating. I just want to be treated like a normal person instead of screamed at and questioned by strangers. Occassionally it’s well-intentioned or endearing but often it is annoying and sometimes rude. The experiences and treatment you receive in Hong Kong (or for those who have been to Macau or Taiwan) are often much different from what you’ll encounter on mainland China. While culturally many things are similar, etiquette is often times not. I like your description of this phenomenon, I think it happens to a lot of foreigners in China. I really didn’t like this for a while, especially when I got queues forming while taking photos with one set of people, and the next ones were getting ready for “their turn” to take a photo. I felt a little bit like a zoo animal! But now I’ve gotten used to it, and I’ll be going home in a couple of months, and I’m starting to think that I’ll really miss being a celebrity! People won’t be so excited about my presence back in the UK! Yeah, I am also wondering how the “re-entry” or “reverse culture shock” will be when I go home at Christmas. I agree, one of the weirdest things will be blending into the background again! Let us know how it feels like back home! In my first year in China I wasn’t asked once for a picture (which I’m not too unhappy about). Now, people take more pictures because it’s more convenient with all the smart phones and stuff than it used to be in 2009, but I still hardly get asked for pictures (except if I’m traveling). I’m not a fan of taking pictures with random strangers and depending on my mood, I’ll sometimes decline. It’s nice that they ask and don’t just take pictures without asking, but I sometimes just don’t feel like having taken pictures of. Once I thought that a guy was so rude with taking pictures of me that I asked him directly if he thinks this kind of behaviour is appropriate. But, obviously, this doesn’t only happen to foreigners. A guy in a Chinese friend’s home village once took a lot of pictures of her and when she confronted him, he told her he took pictures because she was so beautiful. The concept of privacy is a bit different in China than it would be in many Western countries. Good points! Nowadays we, and especially Chinese, take so many photos with out mobiles that it’s getting more frequent to be asked for photos too than before. Chinese also take photos of each other, like you said, and sometimes these can be seen in the news too when people take photos of or film situations, accidents, etc. i lived in shenzhen for 4 years. my 2 young daughters, with light colored curly hair constantly had their picture taken. some without permission and some with. they constantly were touching them as well. the pictures didn’t bother my daughters or me, but the constantly touching them did. people did take my picture as well, but not nearly as much as my daughters. several times it was like a paparazzi mob scene. one person started taking their pic and then more and more gathered until a crowd was taking their pic. i then took a picture of the crowd taking a picture of my girls. too funny. we now live in the middle east and it is totally different. I read blogs by Finnish families living in China and they have the same experience, especially with blonde kinds. It seems that Chinese kids have much higher tolerance for strangers approaching them as they are used to having lots of people around. Kids in Finnish are much more shyer and might cry even. Yeah, the hands of strangers who are walking outside are dirty, they’ve touched cash, armrest of bus, shoelace, backside of their pants…haha, when I was a little boy, every time my parents’ colleagues wanted to touch me, I always kicked their legs and ran away. I’m Swedish, and overweight, which adds to the novelty. My wife and I was recently at my sister-in-law’s wedding in a tiny village with muddy roads, way up on a hill in the middle of Hunan. The guests on my now brother-in-law’s side were all very keen on taking pictures of me, and since I was in slightly irritated mood because of the MC’s insistence on having nearly maximum volume on the speakers my wife I were sitting next to, I just stared back into the cameras. My mood was restored later when my wife’s maternal uncle, whose Chinese I can’t understand one bit, gave my two-hand handshake and the kindest smile I’ve seen in a few years. What a great uncle to give you such a warm welcome! Oh, yes, we’ll return to China in a few days and I am already anticipating what will happen… It is bad when you’re alone, a bit worse if you’re holding hands with your Chinese boyfriend/husband, terrible if you’re with your husband and your in-laws at the same time, and things just sky-rocket when you have a kid. Do I like it? I often find it heart-warming and welcoming, it’s not ill meant. I don’t mind saying time and time again how much I like Chinese food, and how English is as much of a foreign language to me as it is to them… The only thing I dislike is when they take pictures of my kids without asking me first. And when they gossip about us like we’re not there. Some time before, they have mistaken my husband for a Japanese or for my translator and said rude things (“all foreigners are dumb!”, “we can get this laowai to pay more and split the earnings!”, things like that). Thank you for sharing Olga, I’ve heard similar stories from families living in China. I guess what I’m experiencing right now isn’t really much compared to what you go through every time you go out with the kids and your husband. Well, perhaps I’ll know too after a few years. Only when I’m holding hands with my boyfriend do others think we are a couple, if we aren’t holding hands, they always think we are friends or classmates. But If I’m out with a foreign man, then we must be a couple! Let me teach you something, if a Chinese people who shouts to you or gossip or say something unmoral is about 55-60 years old, take it easy, that’s not because old people are being bad, but because bad people are growing old, many of these less-educated old people were Red Guard(baidu or google it) when they were young, the only thing they know is they are right, other people are wrong, they have almighty right to critique other people, “respect” does not exist in their dictionary. Those people are just leftovers in today’s society, in their nut-sized brain, there is only themselves. Every time when this kind of people talking loudly outside classrooms where there was a lecture in it, I always wanted to rush out and ask them whether they understand the meaning of silence. Don’t be annoyed, you can’t require monkey to obey human’s standard. Being a Guangzhou local boy, during the days I lived in Helsinki, I was sometimes asked by strange Finns whether I was a Japanese straightly in stead of asking my nationality. When I replied that I was a chinese, the conversation between us would be in the end. That absolutely made me a little bit sad. Really? Perhaps they were looking for a Japanese to practise their Japanese? I think it’s still more popular than learning Chinese in Finland. I believe it kinda depends on where you stay in China. If you stay in Beijing or Shanghai, I believe it’s less likely to get such attention. Especially in Shanghai. At least that’s what I feel. But it might be a different case in my hometown, Wuhan, which is a less wealthy city with fewer foreigners. Chinese do have a natural curiosity towards foreigners, especially white Caucasians. I think part of the reasons is that white Caucasians matches the beauty standard of Chinese people. But I think this is mainly due to the less exposure of Chinese to foreigners. Even in my hometown, foreigners do not get much attention as they did when I was a kid. In fact there are lots of French in Wuhan. Maybe the best example is Hong Kong. People in Hong Kong are ethnically the same as people in mainland China. But people in Hong Kong have lived with British people for a long time. Being a Caucasian in Hong Kong might be anything but rare. For mainland China, however, foreigners might continue receiving lots of attention. I’m a first time reader of your blog, and boy, how I wish I knew these things before doing my studies in Taiwan! Unfortunately, Chinese people don’t treat southeast Asians with as much warmth. In fact, we’re treated with disdain–I’ve heard people in busses or train stations talk about Southeast Asian students as “someone’s maid” or “idiots who can’t afford anything (小笨蛋, 他什麼都買不到).” Fortunately (and I use “fortunately” with much hesitation), I’m an overseas Chinese. The worst comments that I got in Taiwan were “you don’t sound Filipino” and “we thought you were Taiwanese” (at that time, I spoke better 台語 than Mandarin). Other Filipinos don’t have it so good. Hi again Ronnie, I started from your newest comment. I’m sorry to hear about how Chinese people can sometimes treat southeast Asians. I think that’s something that I can only imagine, as they treat as white foreigners differently. But through friend I’ve also got to know how it’s like for ethnic Chinese to live in China, it’s different as well.